If you’re looking to become a homeowner – whether for the first time as one of George Osborne’s fabled first-time buyers, or as a seasoned veteran of the property purchasing world – it’s a sure fire guarantee that one of the most significant stumbling blocks you’re going to face is the deposit. While it’s certainly the case that mortgage repayment rates aren’t as affordable as they were in years past, one of the largest challenges – particularly to first-timers – is that the house deposit is far too much for most people to pay. Here, we explore the challenges and some possible ways to get onto the property ladder. Despite the Government’s best attempts to make housing more affordable though schemes like Rent to Buy and half price mortgage deposit schemes, the truth is, there’s just not enough available housing on the market. This reduced stock has created an investor’s dream: a large scale shortage producing a sellers’ market in which house prices are solely market determined. And in a market such as ours, this means housing prices have sky-rocketed. So to unfortunately have deposits. In fact, the latest figures from KPMG – reported in the Guardian – suggest that first-time buyers in London need an annual income of £77,000 in order to get their foot in the door. So, with the housing market in such a state, and buyers struggling so much with deposits and finances, what possible solutions are currently available? We briefly mentioned first-time buyer mortgages above, and generally, these have lower mortgage rates than generic mortgages, However, some come with the ability to allow somebody (usually a parent) to act as a guarantor on your behalf. The guarantor will need to be able to pay your repayments on time if you’re unable to do so, so one possible downside to this is that you’ll really need to be able to trust the person acting as your guarantor. Most people don’t have a real problem with paying a deposit for a property, it’s the amount of the deposit that’s the real issue. One way around this is to avoid the administrative and inflated costs associated with buying a property through the conventional method of the estate agents. Instead, look to property auctions to buy your first home. There, you might be able to snap up a bargain, and while you’ll still have to pay a deposit, it might be more manageable. Shared ownership schemes can be really helpful if you don’t mind the idea of sharing the ownership of your property with a local authority or housing developer. Essentially, shared ownership schemes enable you to buy and own a certain percentage of the property – anywhere between 25%-75% – and the rest is rented from a local authority or housing developer. This means that you won’t need to pay as hefty fees upfront, but you will need to factor in the extra rent each month. This final option doesn’t lower the rate of the deposit, but can help lower the burden of any associated fees. It’s called a bridging loan. These are short-term loans that are made available to help cover the time between selling an existing property and purchasing a new one. 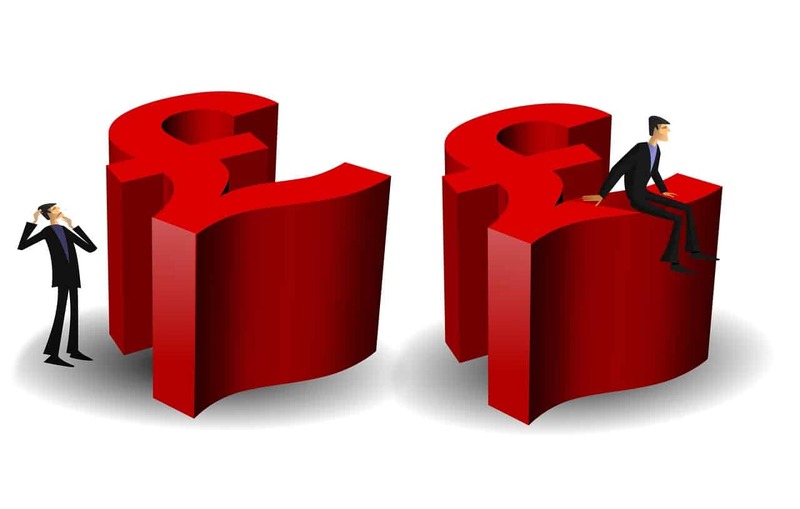 While they can be a great solution if you can guarantee you’ll have the money to pay back the full amount plus (generally high) interest, short-term loans can be a bad solution if you’re not a high earner – so think carefully. Ultimately, there are a few ways to get around the generally high property deposit mortgages on the market today. Consider each of the ideas on the list above and see what works for you.